It was a great event with many drivers card including the BMW I3 , the Mercedes B class electric, a Tesla roadster,one Porsche 914 conversion and many others. 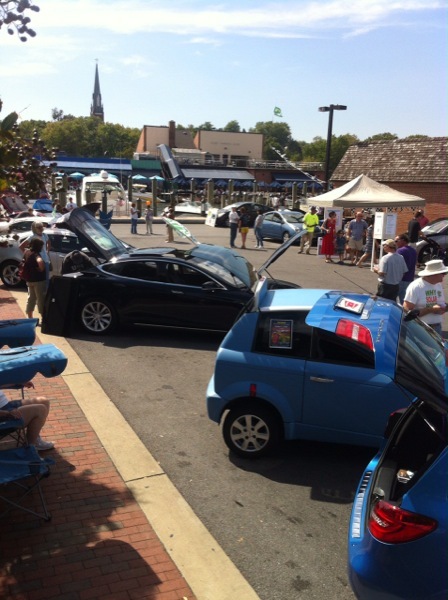 The venue always has a lot or people as well as those that specifically came to view the electric cars. Interested in Electric Plug-in and Hybrid Vehicles? Registered attendees report 357,534 electric miles driven.